Ardith E. Armour, age 88, of Smithland, Iowa, passed away peacefully on Wednesday, January 23, 2019, surrounded by family in Moville, Iowa. A Memorial Service will be held at 11:00 a.m., Friday, February 1, 2019, at the United Methodist Church of Smithland, Iowa. Rev. Karen Handke will officiate. A Visitation will be held from 5:00 p.m. to 7:00 p.m., Thursday, January 31, 2019, with a prayer service at 7:00 p.m., at the United Methodist Church of Smithland, Iowa. Committal will be held at a later date. The Armstrong - Van Houten Funeral Home of Mapleton, Iowa is in charge of the funeral arrangements. Condolences may be sent online www.armstrongfuneral.com. 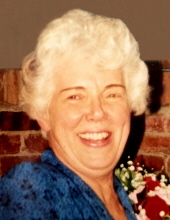 Ardith E. Armour was born on July 4, 1930, to Richard and Ruth Roberts of Allen, NE. She attended Wayne State Teachers College and graduated with a 2-year degree in Elementary Education. She taught at several country schools. She was united in marriage with Myron L. Armour of Allen, NE on March 22, 1951. They moved to Smithland, IA in 1955. She was a substitute teacher in the Westwood Schools while raising children, then became a Sixth-Grade teacher for many years. She earned her BA in Elementary Education from Morningside College. Ardith taught piano lessons to many of the area children from her home and was the organist at the United Methodist Church of Smithland for many years. After leaving the teaching profession, Ardith exercised her entrepreneurial bent, selling insurance products for several years until she settled into her calling, buying and selling antiques. She opened an antique store in Onawa, IA with her dear friend, Pat Aldrich. She and Myron traveled for many years to antique shows in Texas and Washington, packing the motor home and pulling a trailer. They enjoyed the comradery and learning from other dealers they met. She also supplied period costumes to many communities in Iowa and Nebraska that were celebrating Centennial events. Active in civic duties, Ardith was a long-time member of the Legion Auxiliary, a Worthy Matron of Eastern Star, and a member of the United Methodist Church. Ardith is survived by five children: daughter Laurie (Don) Olander of Camas, WA, son Michael (Beverly) Armour of Omaha, NE, son Gregory (Chris) Armour of Omaha, NE, daughter Tamara (Kirk) Scheelhaase of Moville, IA and son Scot (Debra Wendelin) Armour of Hallam, NE; 11 grandchildren and 11 great-grandchildren with 2 on the way; sister Sherrill (Jack Welsh) Halsey; brothers Dallas (Janice) Roberts and Courtland (Darlene) Roberts. She was preceded in death by her husband of 65 years, Myron L. Armour; her parents Richard and Ruth Roberts; brothers Kendall and Dennis Roberts; and sister Arlene Goodell. "Email Address" would like to share the life celebration of Ardith E. Armour. Click on the "link" to go to share a favorite memory or leave a condolence message for the family.